Don’t make the mistake of thinking that your traffic ticket will be easily resolved. When you are cited for reckless driving in New Jersey, you won’t be able to simply put a check in the mail and pay a fine; you will have to show up for court to answer the charges. Many times, a traffic officer will issue a ticket for reckless driving to anyone driving at a high speed; this means that you will receive both a speeding ticket and a reckless driving ticket for the same offense. A conviction for reckless driving can result in points on your license, loss of driving privileges, and even jail time. The good news is that the experienced lawyers at our firm know how to beat your reckless driving ticket. 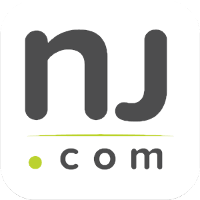 We appear in courts throughout Essex County, NJ, including Newark, Maplewood, and East Orange. We are fully prepared to challenge the prosecution’s evidence and scrutinize the traffic officer’s report. Call us now at 201-654-3464 so that we can review the discovery evidence in your case and begin your defense. 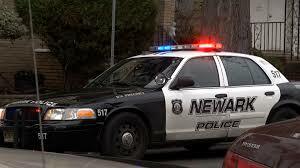 Reckless driving violations are addressed by N.J.S.A. 39:4-96. According to the statute, a driver may be classified as “reckless” if they operate a motor vehicle in disregard of the rights or safety of other people. In other words, you cannot endanger other people or their property while driving. Reckless driving is one of the most serious traffic violations in the New Jersey Traffic Code. Many times, a lesser charge of careless driving is elevated to a charge of reckless driving because the driver’s conduct is considered extremely dangerous. If you are convicted of reckless driving, you will also be subject to suspension of your driver’s license – even for a first offense. A conviction for reckless driving can result in severe consequences for you and your loved ones. What will you do if you are sentenced to three months in jail? How will you earn a living if your license gets suspended? Additionally, one of the collateral consequences of a conviction is that your car insurance rates might go up. If you get too many points on your license, it could automatically trigger higher rates. Our firm is a traffic defense team that is dedicated to fighting traffic charges in New Jersey. We will guide you through the legal process and answer any questions you have along the way. Call us today at 201-654-3464, or fill out the online contact form to schedule a free consultation at our office in Newark, NJ.